At Iron Shield Roofing we have created a division who deal exclusively with multi-family commercial roofing and re-roofing projects. Serving Edmonton and surrounding area, our commercial roofing contractors have in-depth experience in working large jobs. 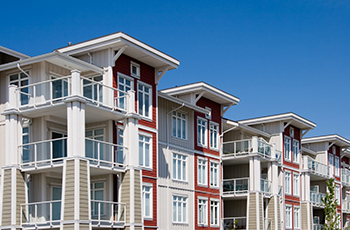 We have worked with multi-family builders, the Government of Alberta and strata councils on many projects. This is what makes us one of the top commercial roofing contractors in Edmonton. When quoting multi-family re-roofing projects Iron Shield Roofing will provide many roofing system options. This information will allow the Strata Council the opportunity to consider the different options and budget the funds needed for the Roofing Project.